Black Metallic 2019 Chevrolet Equinox LS FWD 6-Speed Automatic 1.5L DOHC Recent Arrival! 26/32 City/Highway MPG At Marine Chevrolet Cadillac we offer Market Based Pricing so please call to check on the availability of this vehicle. We'll buy your vehicle even if you don't buy ours! We are committed to getting you financed and have financing for all credit types. Sandy Ridge Metallic 2019 Chevrolet Equinox LT 1LT FWD 6-Speed Automatic 1.5L DOHC 26/32 City/Highway MPG At Marine Chevrolet Cadillac we offer Market Based Pricing so please call to check on the availability of this vehicle. We'll buy your vehicle even if you don't buy ours! We are committed to getting you financed and have financing for all credit types. Gray Metallic 2019 Chevrolet Equinox LT 1LT FWD 6-Speed Automatic 1.5L DOHC Recent Arrival! 26/32 City/Highway MPG At Marine Chevrolet Cadillac we offer Market Based Pricing so please call to check on the availability of this vehicle. We'll buy your vehicle even if you don't buy ours! We are committed to getting you financed and have financing for all credit types. Summit White 2019 Chevrolet Equinox LT 1LT FWD 6-Speed Automatic 1.5L DOHC 26/32 City/Highway MPG At Marine Chevrolet Cadillac we offer Market Based Pricing so please call to check on the availability of this vehicle. We'll buy your vehicle even if you don't buy ours! We are committed to getting you financed and have financing for all credit types. Silver Ice Metallic 2019 Chevrolet Equinox LT 1LT FWD 6-Speed Automatic 1.5L DOHC 26/32 City/Highway MPG At Marine Chevrolet Cadillac we offer Market Based Pricing so please call to check on the availability of this vehicle. We'll buy your vehicle even if you don't buy ours! We are committed to getting you financed and have financing for all credit types. Gray Metallic 2019 Chevrolet Equinox LT 1LT FWD 6-Speed Automatic 1.5L DOHC 26/32 City/Highway MPG At Marine Chevrolet Cadillac we offer Market Based Pricing so please call to check on the availability of this vehicle. We'll buy your vehicle even if you don't buy ours! We are committed to getting you financed and have financing for all credit types. Red Tintcoat 2019 Chevrolet Equinox LT 1LT FWD 6-Speed Automatic 1.5L DOHC 26/32 City/Highway MPG At Marine Chevrolet Cadillac we offer Market Based Pricing so please call to check on the availability of this vehicle. We'll buy your vehicle even if you don't buy ours! We are committed to getting you financed and have financing for all credit types. Red Tintcoat 2019 Chevrolet Equinox LT 1LT FWD 6-Speed Automatic 1.5L DOHC Recent Arrival! 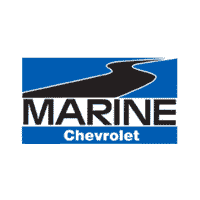 26/32 City/Highway MPG At Marine Chevrolet Cadillac we offer Market Based Pricing so please call to check on the availability of this vehicle. We'll buy your vehicle even if you don't buy ours! We are committed to getting you financed and have financing for all credit types.